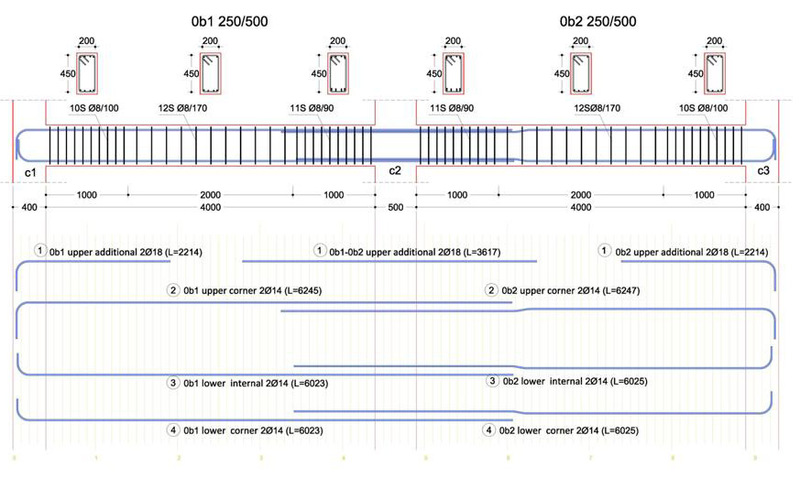 The continuous beam is a commonly accepted term for a succession of two or more collinear beams which are supported by columns or by other beams with no antiseismic behavior requirements. It is not frequently constructed in earthquake prone countries like Greece. On the other hand, it is used in a large scale in areas with low seismic activity. As far as the reinforcement is concerned, the construction of a continuous beam with no seismic behavior requirements is much more simple compared to the earthquake resistant beams. The following figure shows, in a photorealistic view, two continuous frame beams with antiseismic requirements. 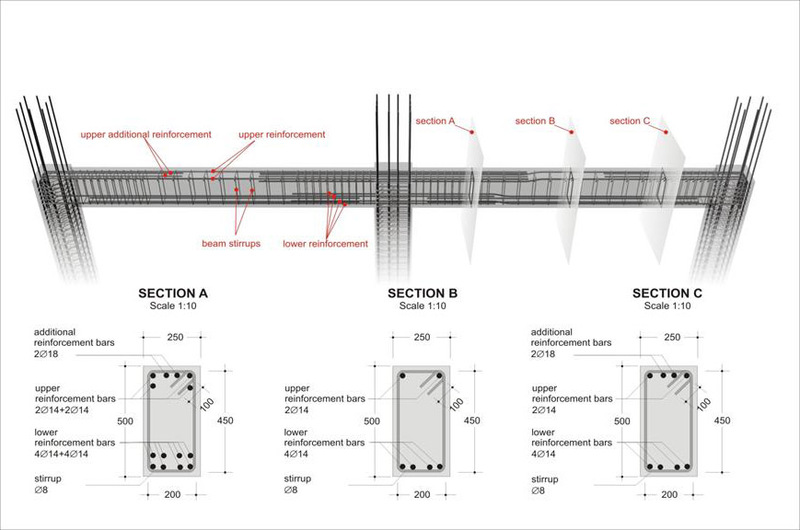 The detail sections show the proper placement of the beams’ reinforcement. The descriptive building sections demonstrate the proper application of the reinforcement bars in beams. Continuous frame beam 250 x 50m mm "project: beams20"